Win Personalised Name Bunting for your child! 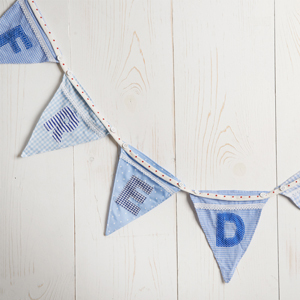 This month you could win one of these gorgeous Personalised Name Bunting in blue or pink. All you have to do is comment below who you would give this as a gift to and why. The winner will be announced on our social media at the begining of December, so add us on facebook and twitter. Good luck! 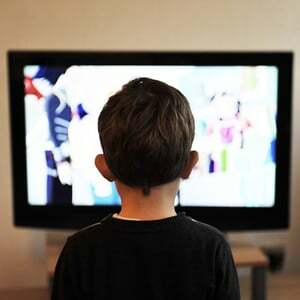 ..
Could a TV in your child’s bedroom be doing more harm than good? What could be better than closing the curtains, lighting the fire and settling in with the family for some quality Saturday night television? Snacks in hand of course. We all love a bit of TV but do we realise just how damaging our children’s ever increasing screen time could be? A future of health problems? Scientists from the University of California say that children who spend more than four hours a day in front of a screen are four times more likely to suffer cardiovascular diseases in later life. Anger issues? A study at the University of Michigan fou..
Daisy Brambles Combination Wardrobe We’re great communicators - Our friendly team is ready and waiting for your call! Whether you have a query about our children’s bedroom furniture, or are simply looking for advice, we look forward to hearing from you. If you do like what you see and decide to place an order with us, our two-man delivery team will contact you a few days in advance of your intended delivery date. They will confirm a day and time for delivery and will also arrange to call you 30 minutes before they arrive if you so wish. We love a challenge - If y..
Half term activities to keep your brood entertained! Autumn half term is often hit and miss. The weather can make or break your plans as the winds whip up a storm and daylight runs out. The lethal combination of cold and dark usually means one thing - the children will reach for those gadgets. So how can you keep your excitable brood entertained and active during the week ahead? Take an aurtmn walk with Lily the grey mouse What better than a spot of kite flying on a windy afternoon? - safety permitting of course! Halloween preparations - it goes without saying that all things pumpkins and ghosts will be met w.. It'll take more than comfy children's beds to prepare for that lie in when the clocks go back! Our mission is to make sure that children get the best night’s sleep they possibly can. But luxurious children’s beds and handmade to order children’s furniture can only go so far... As the dreaded changing of the clock approaches, we thought we would help you suitably prepare so the whole family can enjoy a well-deserved extra hour in bed! It’s amazing how one solitary hour can make such a huge difference to your child’s sleep pattern, but if you act now, the clocks will go back on October 29th without anyone batting an eyelid! Here’s how: Move b..
We've got wind, rain, swirling golden leaves and there's an unmistakable chill in the air...autumn is here! That means it’s time to make sure those children’s beds are cosy and inviting as the cold nights draw in. At Little Lucy Willow we have a gorgeous collection of children’s bedding that’s just the ticket for a comfortable, dreamy night’s sleep, while adding a little luxury to your child’s bedroom too. 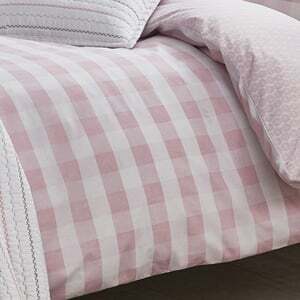 Hypoallergenic children’s bedding Not only are our organic cotton children’s duvet sets breathable and soft, they are also the perfect option for little ones with allergies ..
At Little Lucy Willow, we’re not in the business of wishing our lives away, but sometimes you just have to plan ahead. Dare I say it...Christmas is coming and if you’re looking to overhaul your child’s bedroom in time for the big day, it might be best to get the ball rolling now! 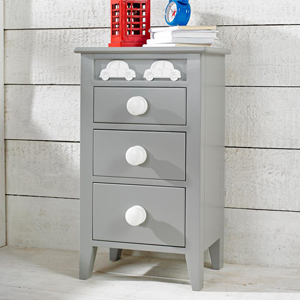 The lead time on our children’s furniture is typically 5-8 weeks as it is handmade to order in our UK factory. So if you want to measure up, decide what you need and choose your preferred exclusive collection in plenty of time for our Christmas deadline, take a look at what we’ve got to offer. Whether you have a.. 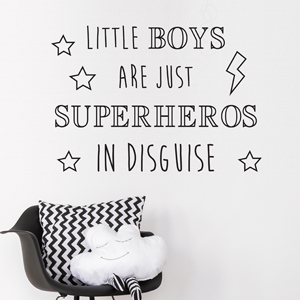 Win a Wall Art Sticker for your child's bedroom! Are you thinking of freshening up or redecorating your childs bedroom? Our wall stickers would make a perfect addition. For the month of October we are giving you a chance to win one of our Wall Art Stickers. We have plenty of unique designs in a variety of colours. Some are even personalised with your child's name! Scroll down to see some of our designs and find out how to enter. To enter all you have to do is comment below who the wall sticker is for and why they deserve it. The winner will be announced on our social media at the beginning of November so add us on ..
Did you know that a mum’s poor sleep habits can be passed on to her child? According to a recent study by the University of Warwick, our insomnia is catching! Forgive me if I’m wrong, but I’m pretty certain my particular case of sleeplessness coincided with motherhood, before which I always slept “like a baby”...Ironic. Anyway, the point is that insomnia can be a real and debilitating problem, so making sure our children sleep well - and don’t pick up our terrible habits - is essential in guaranteeing their good health and happiness. One way to start is by looking after ourselves. The.. The transition from child to teen can be a tricky one. There will probably be sulks, silence and a sudden penchant for loud music. Some take it in their stride while others may find it a particularly anxious time. Bodies, minds and expectations are changing which can be more than a little daunting. Alongside this emotional rollercoaster comes a change in tastes and a need to feel ‘grown up’. It’s time to pack up those teddies and start thinking art, mirrors and dressing tables perhaps. Considering all this upheaval, ensuring your teen has their own space to relax and unwind after a hard ..
A good night's sleep means a good day at school! View our children's beds. Going back to school, or going for the very first time, can be extremely nerve wracking for children, but it can also be a trying time for parents too. You might be worried that your little one won’t be able to cope without you, or they’ll get swept aside in the mayhem of lunchtime and end up with a rumbling tum! 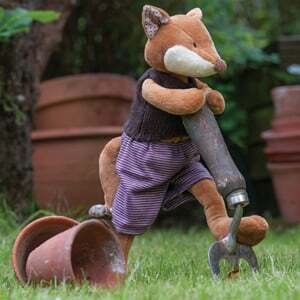 You might be concerned they will crumble without their favourite teddy for comfort or they will struggle to fit in... To ease your worries we’ve put together a list of tips, with the h.. Win a Personalised Kitten Soft Fleece Baby Blanket! This month you could win one of our Personalised Fleece Blankets. Handmade by Little Lucy Willow we think these blankets are a fantastic gift to a new baby. To win all you have to do is comment below who you would like to win one of these beautiful blankets for and why. The competition closes at midnight on 28th February. The winner will be announced on the 1st October 2017 through our facebook and twitter as we do not take email addresses. So it is up to you to keep checking. Good luck! Also check out our brand new Tilly Fleur Nursery Collection. ..
September is rather like spring in that it’s full of promise and new beginnings. New schools, new teachers, new classrooms, new uniforms… It’s a month of starched shirts, shiny shoes and sharpened pencils, that's for sure. 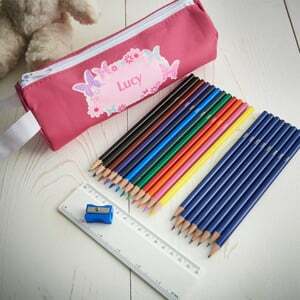 At Little Lucy Willow we know what a testing time this can be for little ones, not least if they are starting school or are anxious about moving up a year. That’s why we’ve stocked up on some lovely children’s stationery and school accessories to make the transition that little bit easier. So snuggle up with your budding student and have a browse through our ..
Is your child struggling to fall asleep at night? The summer holidays are drawing to a close and it’s almost time to ‘get back into the old routine’... It’s with mixed feelings that I approach this time of year. I’m sad that our family holiday is over and sad for the children that they will soon be under the pressures of school life once more. But I will not be sad to have my house ship shape and organised just the way I like it! And in truth, I won’t be sad to slip ‘back into the old routine’ either, despite it being a phrase often uttered with rolling eyes and a defeated shrug of the shoulders. In fact, ‘the old routine’ is h..